Ever been to the idyllic seaside town of Stonehaven…? Ever sat and gazed wistfully out onto stunning harbour views whilst having dinner? Ever had that dinner infused & matched with beer and served by a beer sommelier? No…what have you been doing all your life!!? An ideal opportunity to titillate your ‘bon viveur-ish’ tendencies, you can have a lovingly crafted, seasonally generated, beer infused and matched three course menu, served by our ‘beer sommelier’ or ‘cervesario’ who will guide you through each course and explain why and what you’re drinking and eating. With regular rail and bus connections, you can also enjoy a beer of two without the concern of driving. Furthermore, if you want to make a night of it we have six, 4-Star rated, rooms available which are only a short flight upstairs from the restaurant. Fancy a day out with a group of friends, some team building or to impress some clients? Well come on down! With a regular train service hurtling through the small town of Laurencekirk, we’ve come up with another reason to stop off in one of the North East’s friendliest of spots. A visit to the brewery will include an introduction to six°north’s conception and processes with a tour around the brewery and warehouse from our ever affable brewers. After a wee saunter about it’s off to the tasting room for the style file of your choice. We offer the same tasting packages as our Aberdeen bar but within view of the Cairn o’ Mount! Fancy yourself as a brewer? Want to put your hand in making a batch of Wanderlust Wheat or HopClassic on the big kit? Do you like the smell of brewing beer? Can you comfortably lift a bag of malt (you’ll soon find out)? Do you have your own wellies? If you can answer yes to these then why don’t you come and see what the lads get up to on a day to day basis at the brewery? Your day will start, early bells, with a coffee and a bacon roll, to explain the plan and your involvement in the day. During the day, you’ll be guided through the process and given insight into what and why we do what we do. 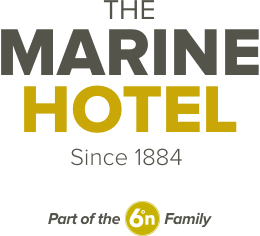 Following the ‘graft’ you’ll be treated to some scran at the Marine Hotel and a tasting of six°north beers. It’s tough going and great fun! An ideal treat for the ‘Brew Buff’ in your life or a great way to introduce yourself to the wonderful world that is….BEER! Want to put your hand in making a batch of Wanderlust Wheat or HopClassic on the big kit? Do you like the smell of brewing beer? Can you comfortably lift a bag of malt (you’ll soon find out)? Do you like beer infused & matched cuisine? Do you like staying in 4-Star accommodation with gobsmacking harbour views? Do you have your own wellies? This is for the ultimate Beer Lover and ‘Gastronome’! Arriving at the brewery, early bells, for a coffee and bacon roll, you’ll be taken through the plan for the brewday and how you’ll assist. During the day, you’ll be guided through the process and given insight into what and why we do what we do. Post all the ‘graft’ we’ll accompany you to the Marine Hotel in Stonehaven where we’ll more than likely join you for a post work libation and introduce you to the locals! We can then check you into your room (all of which are graced with afore mentioned harbour views) and let you get freshened up. You’ll then be greeted in the restaurant by our ‘beer sommelier’ who will guide you through our lovingly crafted, seasonally generated, beer infused and matched three course menu! Then it’s up to you…… While the night away with our range of over 150 Belgian bottles, sample the glittering nightlife in Stonehaven or mix it up with the Stonhavenites in the Lounge/Bar downstairs, all safe in the knowledge that it’s just a short walk upstairs to a comfy, cosy bed!